Sometimes yarn takes a while to tell me what it wants to be. This is my second pattern worked up in yarn I purchased at Stitches South in April. I bought the coordinating yarns and had a stripey shawlette in mind. Note to self: do not attempt to design a striped shawlette with a finite amount of yarn ever again. I'm a math girl. This was a tough math problem. If I had started out with more of each color, I could have designed and then worked up how much yardage I needed. Starting with finite yardage was a lot of extra work. But I think the finished product is worth it. 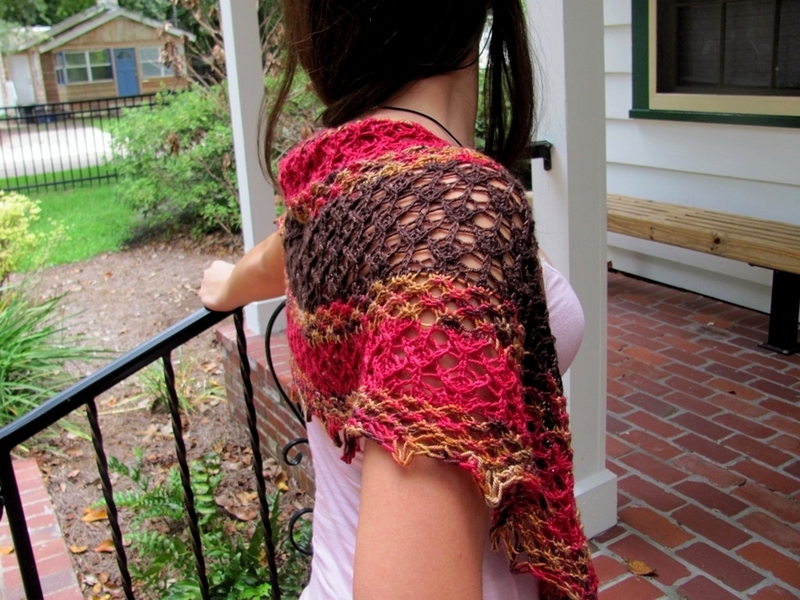 A slightly different method of increasing and a good rigorous blocking makes a lovely crescent-shaped shallow shawlette that is perfect for chasing off fall chills. 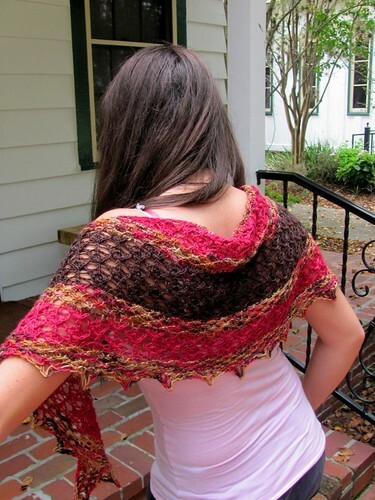 This shawlette pattern is offered in written form only, as the lace patterns in each section are short repeats. 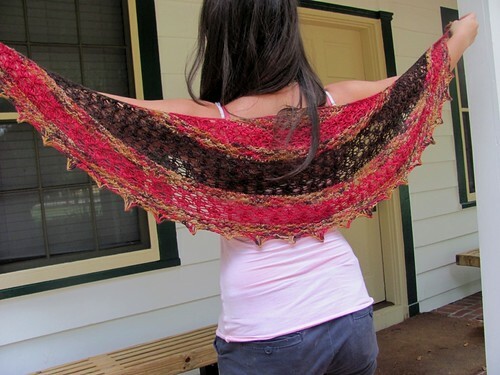 It is worked from the top down on size 8 needles. The finished sample blocked out to 72" wide and 15" deep. Notes: Worked from the neck down - offered in written format only. What happens on day six?